Showcasing the work of Jon Clarke, Copywriter from McGarry/Bowen, Grey, Ogilvy, Wunderman, TribalDDB and all points abroad. 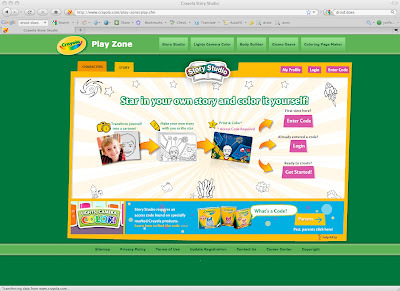 Our first major project for Crayola was this fully interactive site. Story Studio transforms photographs into line art, then places the image into one of many templated storylines, allowings children can create their own personalized coloring books.